Manchester United manager Ole Gunnar Solskjaer knows about the threat that Barcelona forward Lionel Messi poses, but he is certain about his side’s capabilities to limit the Argentine’s impact on proceedings ahead of the first leg of their Champions League quarter-final tie. Solskjaer acknowledges that while Messi is Barcelona’s pioneer on the pitch, United should be careful about other Barcelona players on Wednesday night at Old Trafford. “[Messi‘s] a fantastic player and he will go down in history as one of best ever,” said Solskjaer. “He will be difficult to stop but it’s never impossible; it’s not like it’s Messi against Manchester United. The Norwegian did not reveal his plan to stop the Barcelona’s weapon of mass destruction; if he has one, and instead emphasised that the Red Devils‘ defenders will need to perform well. 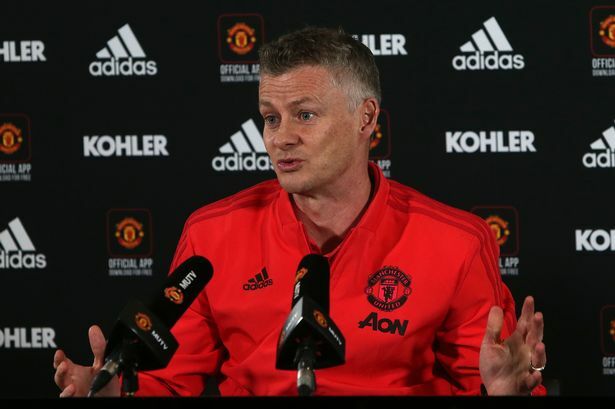 “What kind of plan can you have to stop one of the best players in the world?” responded Solskjaer. “This season we have played Cristiano Ronaldo at Juventus and Kylian Mbappeat [Paris Saint-Germain]. There have been a lot of rumours surrounding the future of Paul Pogba in the last few days, with Real Madrid honing their attention in on the Frenchman. “At Paul’s best he can run a game like this.